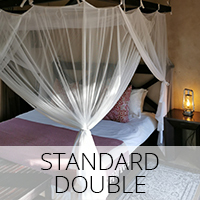 We are able to create a custom-made package for you including game drives and sightseeing visits in the area. See optional activity list below. We are also able to collect you from the Hoedspruit Eastgate and Kruger Mpumalanga Airports or we can arrange a transfer from Johannesburg. Please advise reservations if you have any special dietary requirements and if you are celebrating any special occasion so that our staff can make the occasion special. 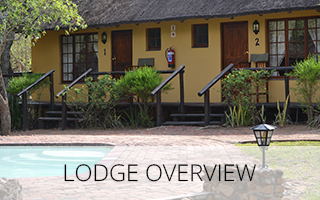 Please note all rates are quoted in South African Rand (ZAR). 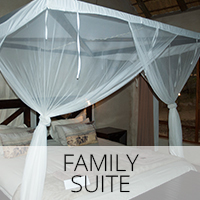 Accommodation in en-suite chalets, breakfast, lunch, dinner and a guided nature walk. 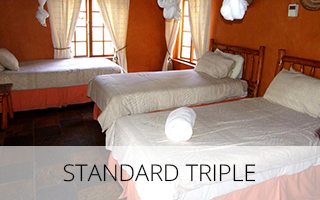 Game drives, drinks, laundry, items of a personal nature, internet, curios and optional excursions. 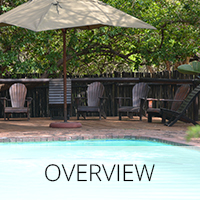 TSL 1 – Full day Kruger Park safari Kruger Park is South Africa’s most exciting safari destination. Steeped in legend and history, the iconic Kruger National Park is waiting for you to explore its vast landscapes and spectacular African wildlife. Here with our guide, in an open vehicle you will spend a day discovering unique wildlife in one of the greatest conservation parks in the world. 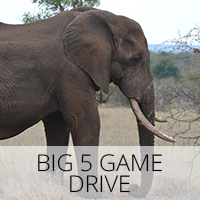 Having completed a Kruger park day drive, by now hopefully we’ve fulfilled your expectations but for the thrill seekers or as a final outing why not complete your trip with an exciting close-up “Big Five” game drive from the comfort of open 4 X 4 safari vehicle. 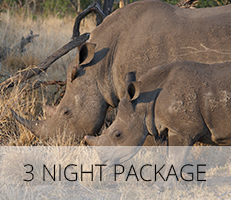 This activity is conducted in various Big Five Game Reserves. Whilst nothing in nature is guaranteed, this adventure purely focuses on looking for the famous five. TSL 3 – Education Game Drive An absolute must for all our guests on their arrival, our qualified and knowledgeable guides will take you through the rugged and pristine terrain in search of some of Africa’s most splendid wildlife. 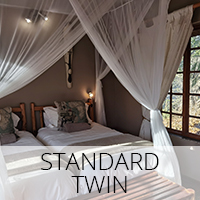 Whilst you may not necessarily encounter “The Big Five”, along the journey you will learn about the biodiversity of our bushveld and grasslands, the multitude of birds and insects and even some of the secrets and skills of game viewing. TSL 4 – Bush Walks The Bush takes on a different aspect when you’re on foot. 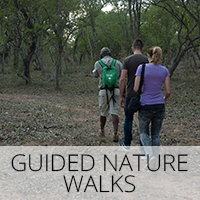 Once again our experienced guides will take you walking in search of some of the most wondrous animals in Africa. Along the journey, you will learn more about the flora and fauna, the magnificence of the creepy-crawlies and the multitude of cultural and medicinal benefits that befall this wonderous land we inhabit. 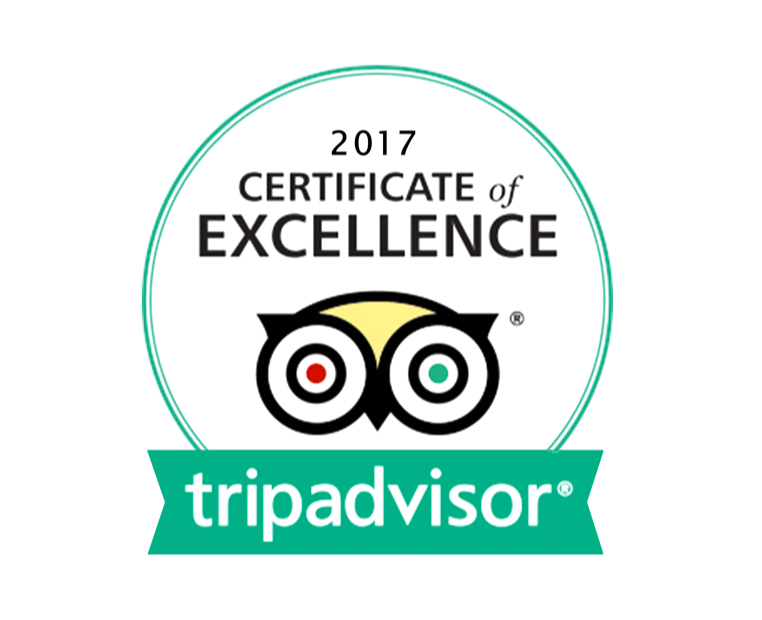 Their knowledge of the fauna and flora in the area is phenomenal and your guide is adept at unraveled well-kept secrets of nature. 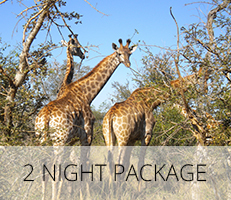 No charge for the initial bush walk – Additional charge of R 300.00 if not included in the package. TSL 5 – Panorama This magnificent route is best known for its cultural heritage and its dramatic landscapes. Offering a vast array of exciting options for the visitor, the Panorama Route hosts some of the best adrenalin enhancing adventures in the country as well as some more placid pastimes encompassing visits to Bourke’s Luck Potholes were named after prospector Tom Bourke who discovered alluvial gold in there during the late 1880’s. God’s Window, situated on the Drakensberg Escarpment is known to many as Paradise country, the lush region is home to a number of magnificent natural features such as striking rock formations, beautiful waterfalls like Lone Creek, Horse Shoe and Bridal Veil, spectacular endemic flora and fauna and awe inspiring views. Finally, exactly as they sound, the Three Rondawels are three round mountain tops with slightly pointed tops, (very similar to the traditional round or oval African homesteads made with local materials called Rondawels). TSL 6 – Hoedspruit Endangered Species Project The Hoedspruit Endangered Species Centre focuses on the conservation of rare, vulnerable or endangered animals. 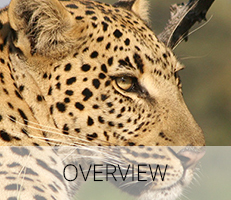 Cheetah Conservation is one of their core disciplines. There are currently less than 10 000 cheetahs worldwide, placing them on the endangered species list. 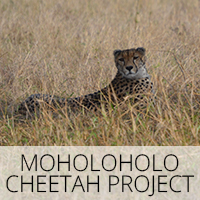 The long-term goal of Cheetah Project is to replenish the wild cheetah population as well as reduce inbreeding and subsequent sterility of the cheetahs. TSL 7 – Mariepskop On the eastern side of the Drakensberg Escarpment, facing away from the Blyde River Canyon, is the Mariepskop complex, a mountain enclave and centre of endemism of unsurpassed beauty. You can ascend to the top where, at 1,945m above sea level, you can see the Indian Ocean and Maputo on a clear day. Mariepskop is the highest peak in the northern Drakensberg Escarpment with views that are breathtaking. Ironically, its height has led to the presence of the military radar equipment on the top of the mountain that has caused its preservation. Development has been restricted and a natural wilderness has resulted. Mariepskop Mountain is unique in its floral diversity and contains well over 2,000 plant species, greater than the whole of Kruger Park and far exceeding Table Mountain’s plant diversity. There are over 1,400 floral species, 905 vertebrate species including 58 faunal endemics and 109 faunal red data book species. 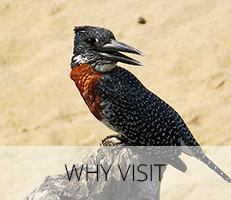 Unusual local mammals include the Samango monkey and SA Birding recommends a full day’s exploration of the Mariepskop forests, which they describe as “an essential part of a [birding] visit to this area”. 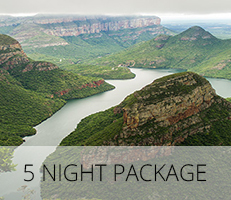 TSL 8 – Blyde River Canyon River Cruise Enjoy the splendour of the third largest Canyon in the world. Unquestionably being the largest ‘green canyon’ due to its lush subtropical foliage. An interpretation tour by a tour guide will take you to the rare living Kadishi Tufa waterfall and the Three Rondawels. 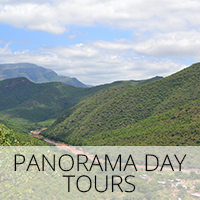 An abundance of wildlife will keep you distracted while learning more about the natural history of the Blyde Canyon. TSL 9 – HESC@Dawn or HESC@Dusk Tour Take a break from the Big Five chase and come and enjoy a unique game drive around the Hoedspruit Endangered Species Centre. Experience the biodiversity of this area with one of our knowledgeable guides, on a drive focused not only on species but also the variety of strategies that wildlife employs to survive and flourish. 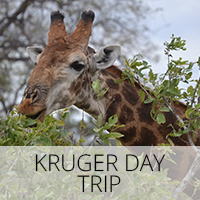 Guests will have the opportunity to get of the vehicle and interact with nature, as well as enjoy a Coffee Break or Sundowner with light snacks whilst reflecting on all the intriguing things seen and learnt on this unique drive. From birds, to trees, to plants and insects learn how these often forgotten things inevitably work hand in hand to sustain our environment. TSL 10 – Bush Bike Ride The Bush takes on a different aspect when you’re on a bicycle. 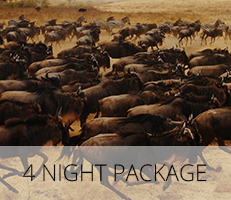 Once again our experienced guides will take you riding in search of some of the most wondrous animals in Africa. Along the journey, you will learn more about the flora and fauna, the magnificence of the creepy-crawlies and the multitude of cultural and medicinal benefits that befall this wonderous land we inhabit. Their knowledge of the fauna and flora in the area is phenomenal and your guide is adept at unraveling well-kept secrets of nature. 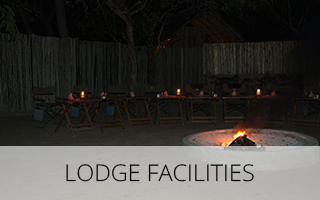 Entrance fees; return transfer from the lodge and services of a qualified guide. Meals not specified drinks, snacks and gratuities. This precious 9 or 18 hole golf course (different tees) is situated in the Air Force Base in Hoedspruit. The clubhouse faces down the 18th and the skyline is flanged by the Drakensberg Mountain Range. Camp out under a million stars. 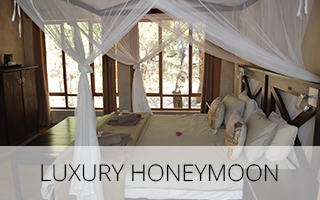 Sleeping in the open air on the reserve, under the African night sky, is a unique experience. It’s completely safe, while being surrounded by only wilderness and wildlife. The experience is guaranteed to take your breath away. A paradise for birders, the area surrounding us is home to 263 different species of birds. Each trip deepens one’s affinity to the birds of the bush and produces something new or different. Birding in our region is an experience that gets deeper over time with the joy of the familiar sighting – confirming one’s existing knowledge – and the thrill of the unexpected. No two birding trips are ever the same. There are a number of dams and rivers within the area reserve which offer guests the opportunity to fish. These dams are well stocked with bass and various other fish species. Guests will be accompanied by a guide when fishing. The Drakensberg offers some the best fly fishing in South Africa. There are excellent trout waters in the region with well-stocked dams and pristine stretches of river where brown and rainbow trout occur in abundance. Departs on Demand.